At Witchfest we do not allow photos to be taken, this is to protect eveyones privacy. With discrimination still in existence this is important to some visitors, and with most photos ending up public on Facebook or Instagram this is important. 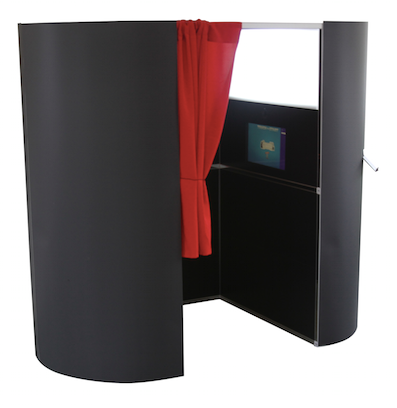 BUT we know that many of you would love to get a photo to remember your day for a souvenir, so this year we will have a dedicated photo booth at the event, that will instantly print your photos for you. The photo will be branded as Witchfest to so there is no doubt where you took the picture, and the booth can take up to 7 close friends, 6 people is comfortable, or you can use it on your own. The booth is free, but as a non-profit we will have a donation tins to attempt to recover some of the cost of the booth, if this is a success and you enjoy it please give generously so that it will be back next year. Short Bio:The booth is free, but as a non-profit we will have a donation tins to attempt to recover some of the cost of the booth, if this is a success and you enjoy it please give generously so that it will be back next year.